Join us for our annual Atlanta Memorial Day 5K Classic to pay homage to our men and women of the United States Armed Forces who have sacrificed their lives for our great nation. 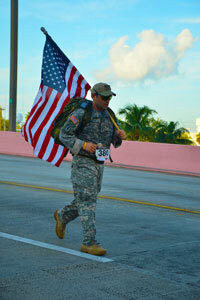 The Soldiers Final Mile is to pay tribute to the fallen heroes that gave the ultimate sacrifice for their country. When you are running the 5K and you get to that final mile, 2.1 mile mark on the course, think of all the soldiers that lost their lives in battle and that is where you need to leave everything on the course. We will be scoring the Soldiers Final Mile by overall and age group awards, so please take it seriously! The actual start/finish will be on Edgewood Drive between Peachtree St. and Park Drive. There is plenty of parking as well as the Five Points Marta Station. Race day registration and packet pick-up 7am. Race start is at 8am.